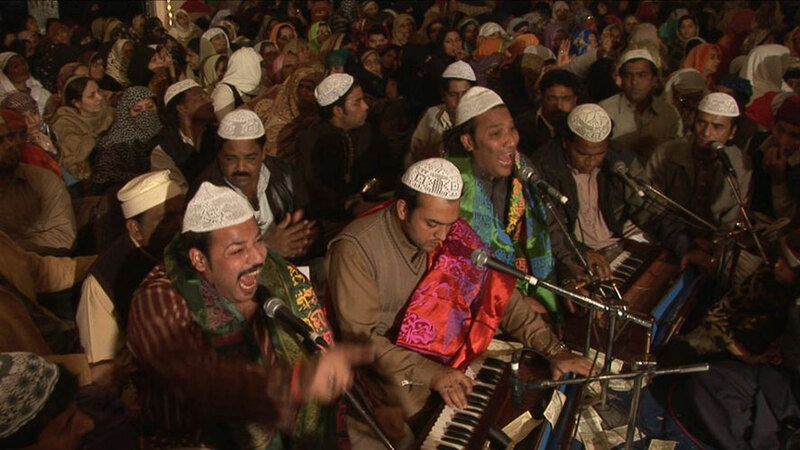 The movie „Nusrat – the last prophet of music” is a journey tracking footsteps of the great artist Nusrat Fateh Ali Khan through contemporary Pakistan. In the movie we present the Pakistani reality from the perspective of music. Thanks to a quite different picture from that created by the media is created. Music in fact is a very important key to get to know and understand the nature of the Pakistani people. Thanks to the music there is possibility to touch the spiritual and mystical face of Pakistan and also its cultural wealth. The main protagonist, who passed away at the peak of his popularity in 1997, does not appear in the film but the spirit of his music and the message of returning to the primary brotherhood are constantly present in the film – “Without hatred, without regard to race, religion and skin color. I wish, thanks to the spirituality, that people become more honest, less worried about the temporal world in which they cannot yet find themselves”, Nusrat Fateh Ali Khan proclaimed. Western world, fascinated by spirituality of the East, discovered and loved music of Nusrat which is above all divisions – above cultural and religion differences, and beyond borders. It is a flowing message of love. Peter Gabriel while founding the famous record company World Music Records has started a new trend of searching for music of roots. Travelling to festivals around the whole world he heard music of Nusrat and invited him to the joint project of creating the soundtrack to “The Last Temptation of Christ” directed by Martin Scoreseese. Many of us have heard the thrilling vocalize in the scene of Christ’s crucifixion, very symbolic for Christians. Not many of us knew that it is the great genius of Nusrat, deeply religious/believing Muslim who speaks to us. On our way we meet the artists rooted in the same music tradition, of which Nusrat was the most prominent manifestation. We participate in events that give color to the dusty Pakistani everyday life/daily. We move to the world where excorcisms of women take places, whose souls are possessed by evil forces, steeped in the Nusrat’s music. 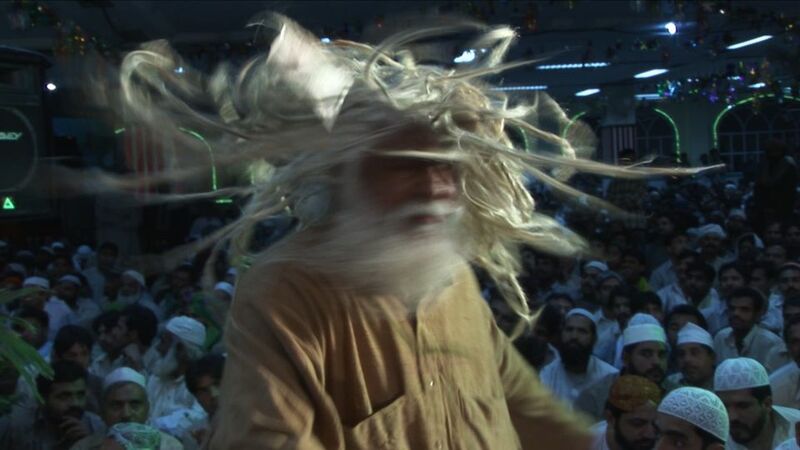 We observe also dervishes dancing in trance and whirling, held in the temple graveyard scenery. We are also participants of the Ashura – the mystical ritual with the white horse appearing in the crowd, who in turn is the symbol of Muhammad’s family death. During this ceremony hysterical and sobbing men drop their shirts and begin the ritual mutilation of bodies. Music of Nusrat also leads us to the music festivals in Pakpatan, Lahore and Ajmer where Muslims in ecstasy indulge in the quawwali music and a moment later we move to the crowded streets full of reverberating sound of horns. On the small square where there is a primitive workshop producing loudspeakers serving for call to prayer, resounding five times a day from hundreds of minarets. Nusrat is still alive. The spirit of Nusrat is everywhere. His voice rings out on every street corner. 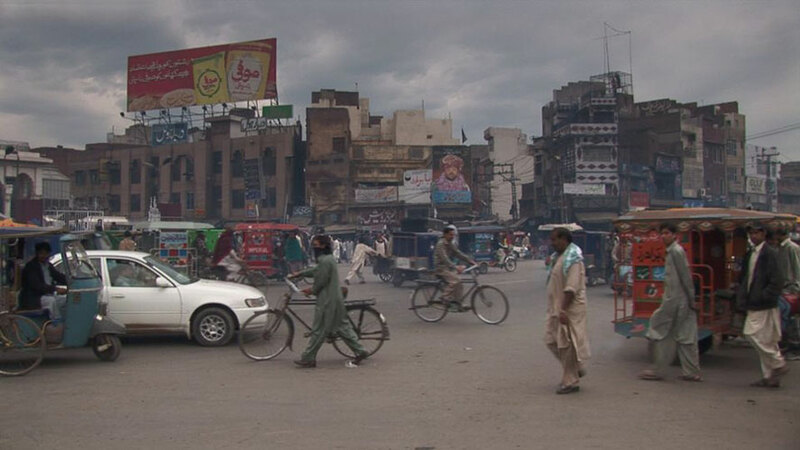 This colorful mosaic of artists performing in the film and music events interspersed with the observation of Pakistani everyday life creates the film’s structure. Poignant, yet full of lyricism Nusrat’s voice guides us through this spiritual world. The film also provokes a discussion whether in the world of distinct religious and cultural divisions there can still be a common understanding between different civilizations? When we look at the universality of the message of Nusrat’s music and his popularity on every continent we can tempt to answer: yes, it is the music. The musical image of Nusrat Fateh Ali Khan is formed by the contemporary artists of Pakistan and the Indian subcontinent – prominent musicians with whom Nusrat has performed on a stage as well as practiced and composed. These are often followers of the developed and enriched by Nusrat quawwali music, but also representatives of other music trends/mainstreams such as raga and Sufi kalam. Intellectuals, poets, mystics and other admirers of Nusrat talent narrate. The emotional line of Nusrat music completes the highest quality Sufi poetry coming from ancient Persia and India. The film about the Master consists also of stories told by his family, friends and accidentally met ordinary people. All of them share their love and admiration for Nusrat Fateh Ali Khan – the artist who gave the world the most hypnotic music of the twentieth century.